US and global consumer spending on media content and technology grew at a decelerated 6.8% in 2015, as spending on legacy internet media - including PCs, broadband, and pure-play online content - slowed markedly due to the global shift to mobile media, content, access & smart tech, according to new PQ Media research. PQ Media - Intelligent data for smarter business decisions. Are you ready? Get the data. Contact us at info@pqmedia.com or 203.569.9449 to learn how we can prep you for a transforming media landscape. US and global consumer spending on media content and technology rose 6.8% in 2015, decelerating from 7.8% growth in 2014, as spending on legacy internet media, including PCs, broadband and pure-play online content, slowed markedly due to the worldwide shift to mobile media, content, access and smart tech, according to new research from PQ Media. Key growth drivers included major upgrades to tech and telecom systems in leading markets, and lower price points for digimedia access and devices – a combination of trends expected to spur a slight growth acceleration this year, according to the new Global Consumer Spending on Media Content & Technology Forecast 2015-19, the third and final installment in PQ Media’s annual Global Media Intellicast Series. PQ Media analysts found that while digital and traditional media technology accounted for nearly two-thirds of consumer spending on media content, access and tech, content spend is growing faster as more traditional media is repurposed for digimedia devices. And this trend is likely to remain a key driver of consumer spend through 2019. Global consumer media & tech expenditures will track closely with aggregate worldwide GDP growth during the 2015-19 period, fueled by surging demand for mobile and online streaming content services, such as Netflix. Despite a continued slow economic recovery in key developed markets and the nebulous, if not precarious, outlook in emerging markets, such as Brazil and China, PQ Media data indicate media content remains hit-driven despite economic cycles. For example, the popularity of the Harry Potter series of books and films during the 2008-09 recession and the more recent blockbuster addition to the Stars Wars trilogy, which is breaking US and global box-office records. Nevertheless, growth of consumer spend on legacy digital media is expected to decelerate during the 2015-19 period, while traditional media growth will stabilize after multiple consecutive years of decline, according to PQ Media. Meanwhile, mobile device penetration in developed markets is nearing saturation, as most consumers have shifted from feature to smartphones, resulting in decelerating smartphone growth. Broadband spend growth is becoming more dependent on inflation-adjusted price increases, rather than new subscriber growth. Older, more loyal audiences now account for the lion’s share of print and broadcast media usage worldwide, fueling gains in newspaper and magazine subscriptions. Growing competition in new media markets is also a key factor in consumer media & tech growth. For example, Netflix expanded its popular streaming video service into more than 100 markets worldwide by 1Q16, while Pay TV operators, like HBO, countered with expanded over-the-top video services. Global consumer media spend will post a CAGR of 7.0% in the 2015-19 period, reaching $2.01 trillion in 2019, nearly double the 2009 level. US market is projected to expand at a 5.3% CAGR in the forecast period, according to Global Consumer Spending on Media Content & Technology Forecast 2015-19. PQ Media’s Global Consumer Spending on Media Content & Technology Forecast 2015-19 delivers exclusive data, analytics and forecasts by global region, market, sector, segment, silo and category. US and Global rankings, as well as other actionable intelligence is designed to help media stakeholders make smarter, faster business decisions by benchmark KPI’s across the 4 major global regions; Top 15 Global Markets; 2 broad media spend sectors (consumer content and consumer technology); 5 overall media spend segments (content unit purchases, content subscriptions, access, devices, and software & services); 28 digital media and 14 traditional media categories; and 11 hybrid media silos (digital & traditional media). The new Forecast examines the entire 2009-19 period, delivering 793 datagraphs in a 461-slide PowerPoint deck featuring more than 62,000 data points. Subscribers can drill down into each leading global market with a Value-Add Excel Databook, providing 124 dataset tabs, market-specific insights and 5-year projections. Download your free executive summary and sample datasets today at: http://www.pqmedia.com/gcsmctf-2015-2019.html. 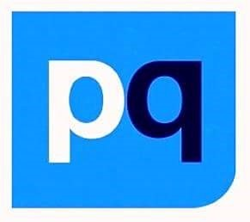 PQ Media is a leading provider of actionable competitive intelligence and strategic guidance to management teams of the world’s top media, entertainment and technology organizations. PQ analysts track, analyze and forecast the size and growth of more than 100 digital & traditional media channels, focusing on 3 industry KPI’s: operating company revenues, consumer media usage, and consumer media content & technology spending.